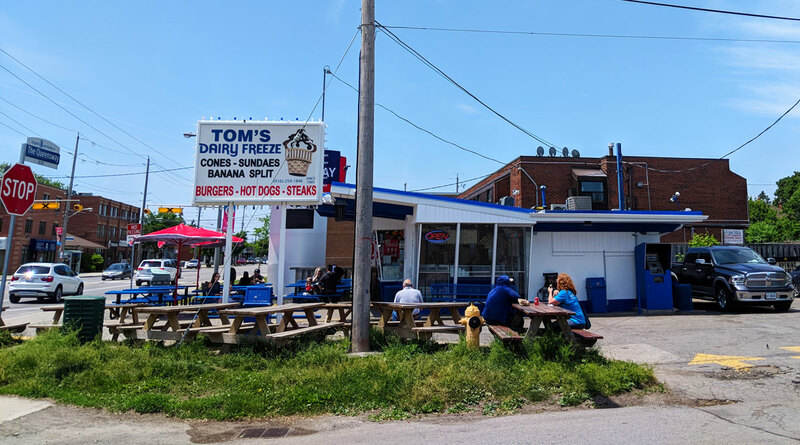 If you’re looking for soft serve ice cream in Toronto, you can’t go wrong with Tom’s. It’s been a summertime institution since 1969 and, shockingly enough, still sells some of the best soft serve in the city. In a city where so many old-school restaurants skate by on nostalgia alone (I’m thinking of vintage burger joints like Johnny’s and Apache), I tend to approach years-old restaurants with a healthy dose of skepticism. Toronto’s food scene has improved astronomically over the decades, and a place like Johnny’s (which routinely used to top “best burger in the city” lists despite serving awful pre-fab junk) is a palpable reminder of how far we’ve come. 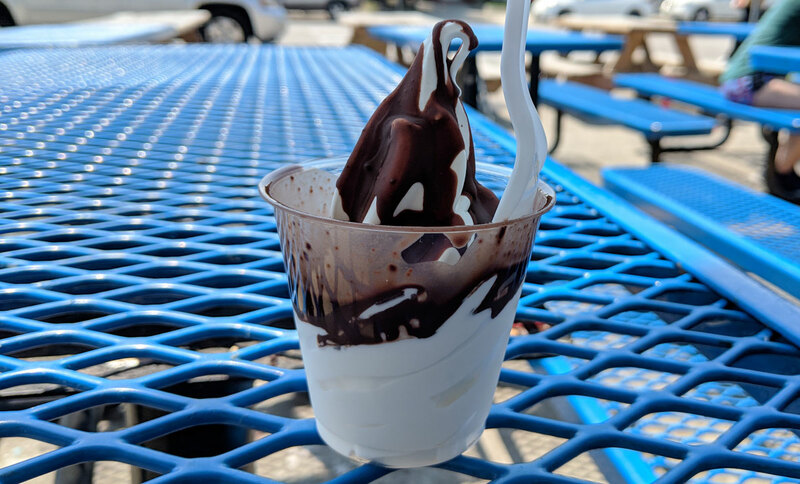 Tom’s Dairy Freeze, however, is a delightful exception to this rule; the soft serve here is top-shelf stuff. On this particular visit I went simple with vanilla ice cream and a chocolate dip. The dip is nothing special, but the ice cream is phenomenal. It’s rich, creamy, and has a really satisfying vanilla flavour. Anyone who wants to sell soft serve in the city should be forced to come here and take notes. Yes. Perhaps 5he best in town. Try their onion rings next time. Frozen but delicious.